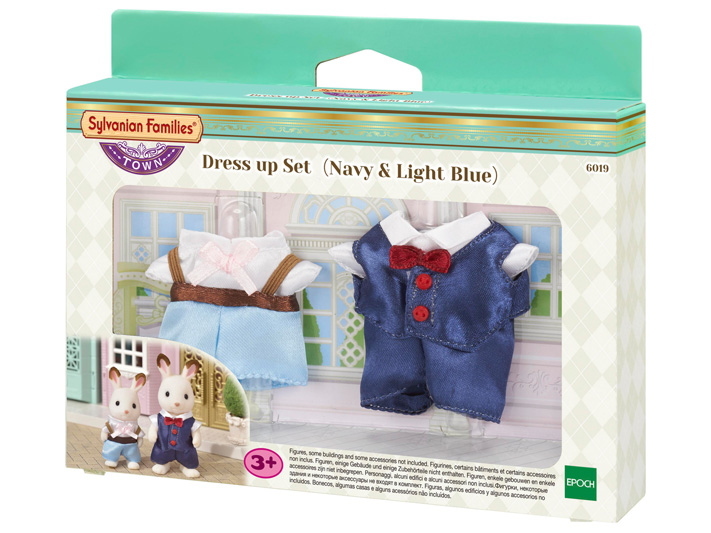 The Dress up Set (Navy & Light Blue) is an outfit set for father and boy figures. 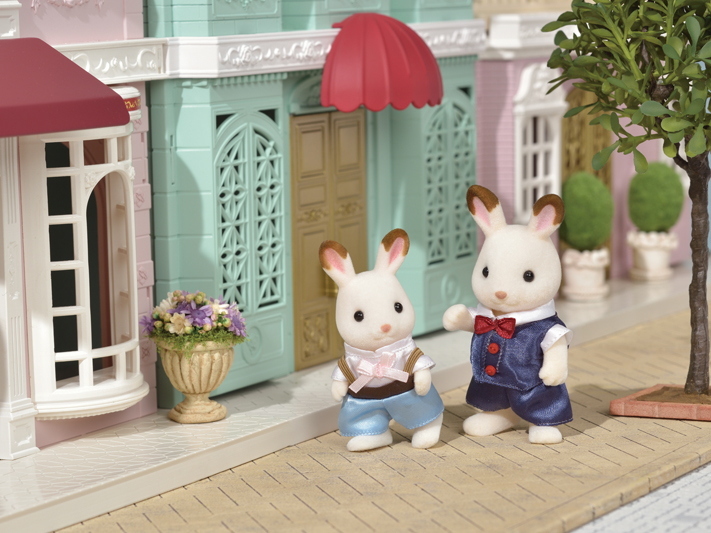 The outfits are neatly sewn with elegant satin fabric; perfect for going out to town. 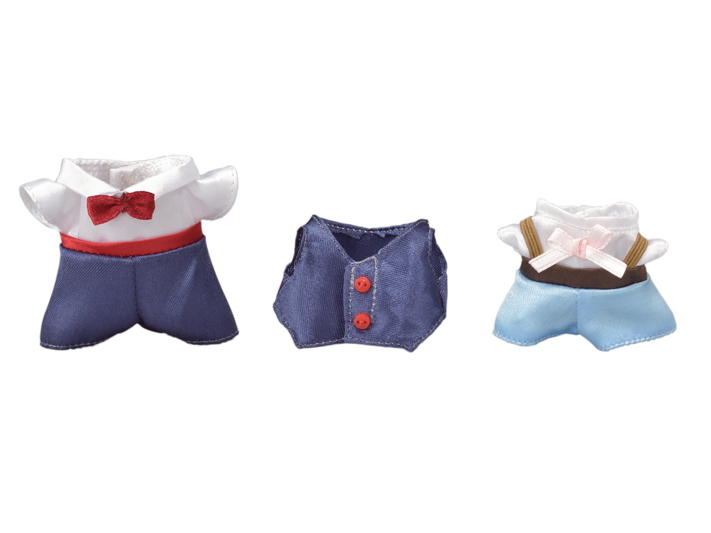 (Figures are not included.) 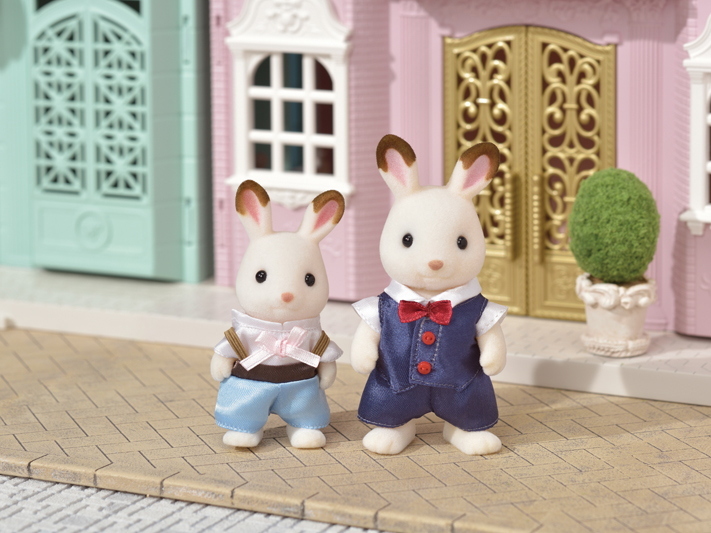 Dress up father and boy figures and combine them with the other items in the Town series for more fun (sold separately).